Google has posted its top lists of most popular topics in 2016, and a lot of it is a painful reminder of all the great people that left us this year. 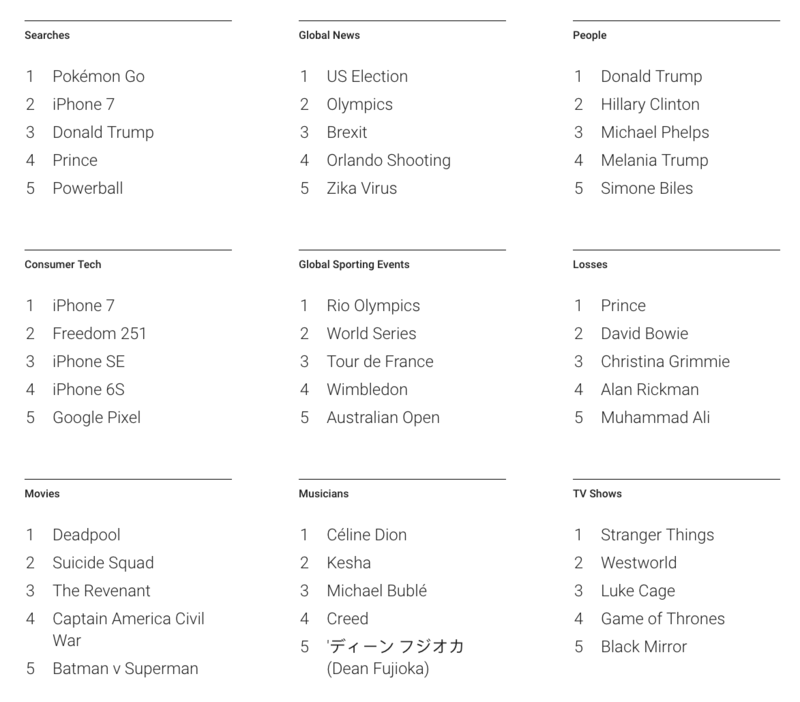 In overall global searches, Prince and David Bowie are in fourth and sixth place. Google lists a category called “Losses” this year, and there the two rock giants are joined by other beloved stars, including Christina Grimmie, Alan Rickman, Muhammad Ali and Leonard Cohen. Yes, it’s been a rough year. 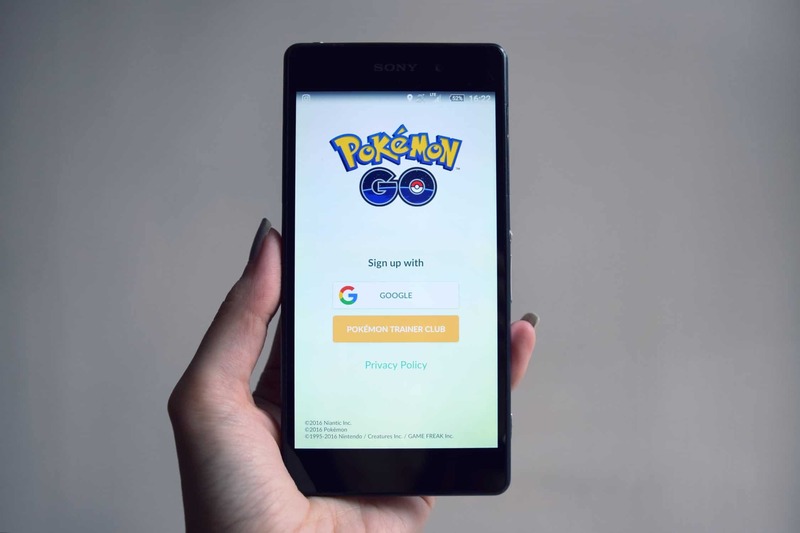 Unsurprisingly, Pokémon Go was the most searched-for topic this year, and even though the interest for the augmented reality game has waned since the launch in June, it was enough to catch first place. The iPhone 7 is in second place, followed by President-elect Donald Trump, which also tops the “people” category, ahead of Hillary Clinton and Michael Phelps. 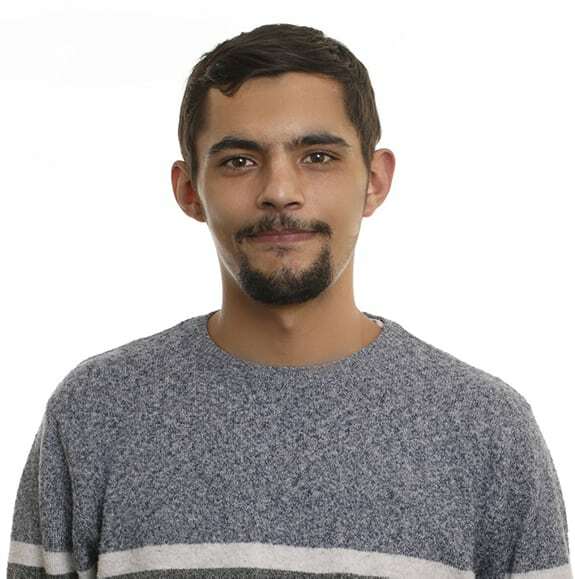 In global news, the U.S. election was the biggest topic, followed by the Olympics, Brexit, the Orlando shooting and the Zika virus outbreak. Out of all the great TV shows we’ve seen this year, Stranger Things is the one we Googled the most. In the movies category, it was Deadpool, while Céline Dion was the most searched-for musician. If you prefer to see an overview of all the hot topics of 2016 in a (rather depressing) 2-minute video, Google has got you covered. See it below. Google has also put up a special page highlighting some of the year’s breakout searches — surprising topics which at one point grabbed the world’s attention. It’s divided into months and topics and features odd topics including “three-toed sloth,” “fanny pack” and “trampoline.” Check it out here. Enter your email below to sign-up to receive our free newsletter.